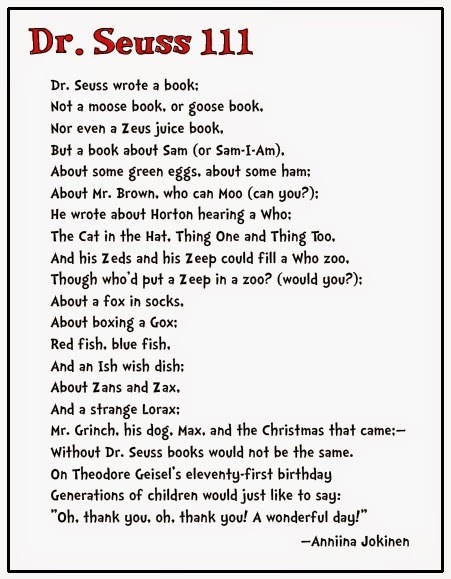 Without Dr. Seuss books would not be the same. "Oh, thank you, oh, thank you! A wonderful day!"